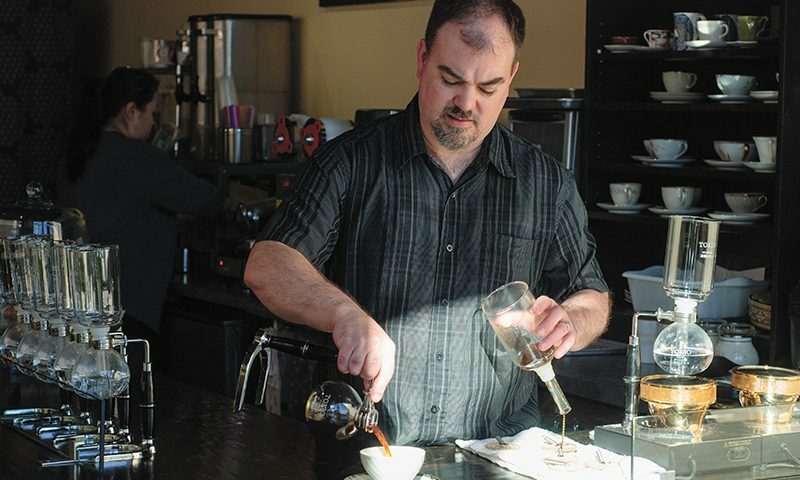 “Top to bottom, the quality of everything we do [makes us unique],” says John Piquet, owner and operator of Caffe D‘Bolla in downtown Salt Lake. Along with wife Yiching Piquet, Caffe D’Bolla offers a unique coffee-tasting experience that is not found anywhere else in the city: siphon-brewed coffee—also roasted onsite—which highlights the nuances and complexities of each roast. For each siphon-brewed specialty on the ever-changing, seasonal menu, there is a suggested time of about 30 minutes to really delve into the flavors awaiting in each cup. The siphon method, on its own, takes about five minutes with a cool-down time of eight to 10 minutes, depending on the coffee. This allows time for the different oils in the coffee to settle in different ways, offering one set of flavors when you first start sipping and transitioning through different, sometimes subtle flavor notes as the temperature cools down. For Piquet, everything from the selection to the roasting to the brewing process requires both the science of what makes a good cup and the artistry to create something unique. 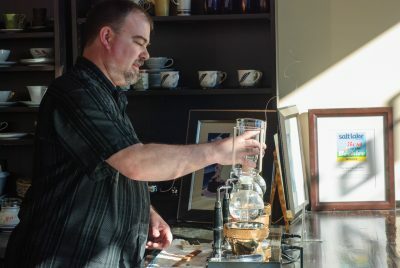 “If you treat the coffee like a science experiment and take the artistry out of it, it’s going to end up tasting like a science experiment,” he says. They consider every variable when featuring a cup, down to the shape and size of the cup itself. During the brewing process, Piquet explains each step of the siphon-brewing process as well as background information about the siphon and the coffee he’s featuring. 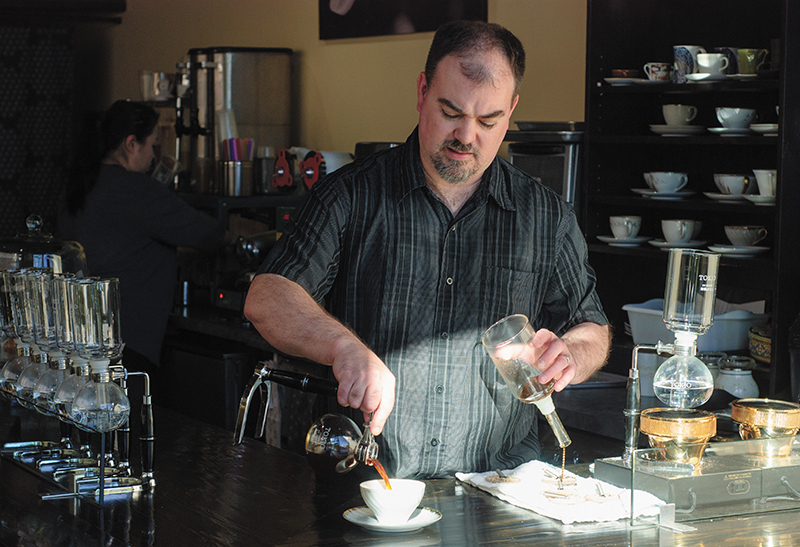 However, he says that the coffee’s flavors often have their own story to tell. “People become educated by the cup, so you don’t have to say a lot,” he says. “They can’t ignore what they taste.” Though the Caffe D’Bolla experience does require time to fully enjoy, the results often speak for themselves by way of a fully realized cup of coffee with rich flavors not present in coffee made any other way. It’s a worthwhile experience that is both educating and fascinating, and one that is truly unique to Salt Lake City.